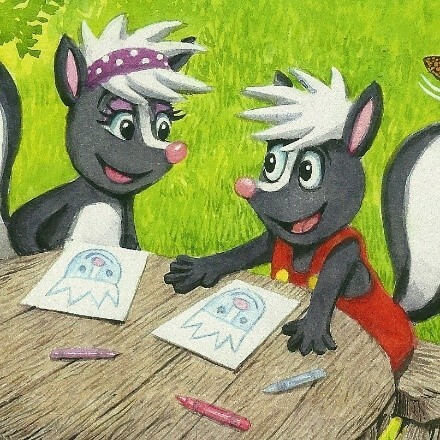 In this month’s Ranger Rick Jr., the illustration on page 20 shows Flora and Sammy Skunk drawing pictures of themselves. Drawing can be a fun activity to do with your child. After reading the “Ricky and Pals” story (pages 20–23) together, tell your child that you are going to be a copycat and draw what Flora and Sammy have drawn on page 20. Ask your child to also be a copycat by making his or her own drawing. I am sure both of yours will be better than mine. While you are using paper and crayons, try drawing other animals in the magazine. 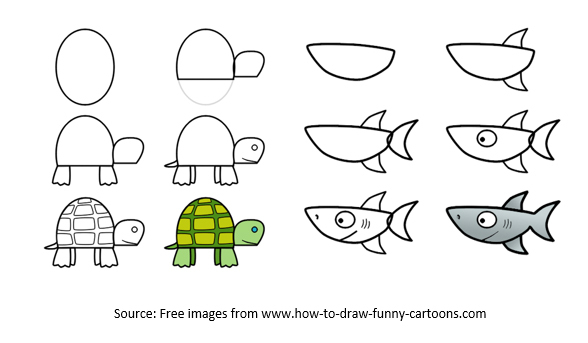 Follow these step-by-step instructions to draw a turtle and a shark. Perhaps your child would like to send the drawings to Ricky’s Mail as suggested on page 33. 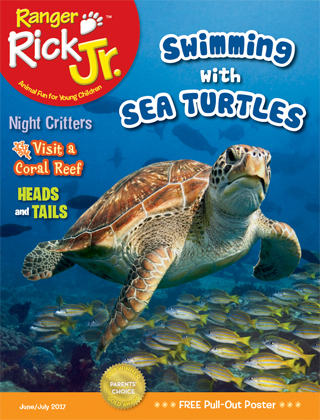 After reading about coral reef animals on pages 6-11, help your child find the animals on pages 12-13. The two of you can talk about the large variety of animals living in our oceans. Enjoy the summer and sharing Ranger Rick Jr. with your child.